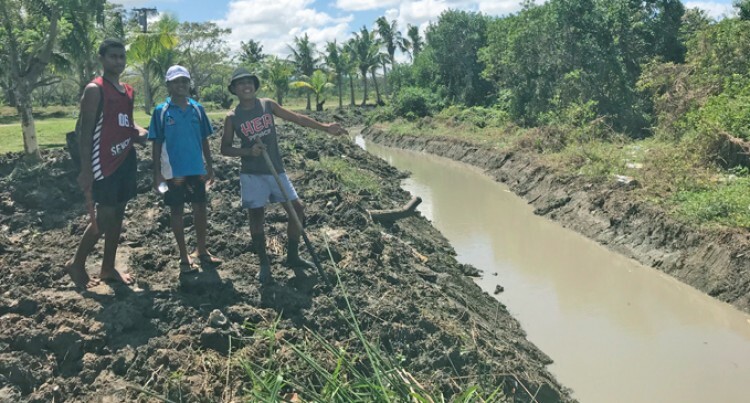 For as long as he can remember Kini Viliame Labalaba says his village has been at the mercy of floods and heavy rain. The village headman of Navatulevu Village in Nadi says not it’s just their homes and compounds which get damaged, but their farming area is constantly being inundated with wa­ter. But this problem could be a thing of the past after the Ministry of Water­ways stepped in to offer some sense of relief. And it was Mr Labalaba who alerted the ministry of the issue. Drainage works began last Thursday. “We are happy with Government through the Ministry of Waterways for fixing our drain because it has been a while. It was not attended for some time,” he said. “All these areas get flooded when there is a heavy rainfall and the water even enters the homes. Mr Labalaba also thanked the minis­try for digging up a landfill to enable the villagers to dump their kitchen waste. The village is situated along the De­narau Road. It has 34 homes with close to 265 people there. Meanwhile, the Nadi Town Council is working with the ministry to solve the drainage issue in the town bound­aries. Council special administrator Robin Ali confirmed this.